The biggest issue for Ruby in the early days was taking blood. Let’s face it as an adult it hurts. So for a four year old it is just horrible. 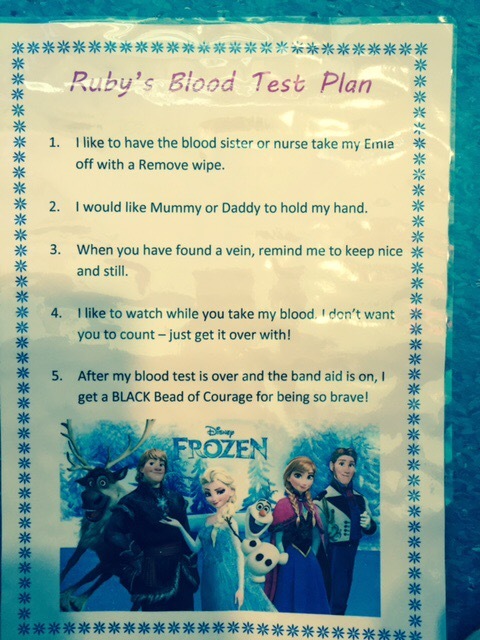 To make it a bit easier the beautiful Kylie at play therapy suggested Ruby write up a blood test plan. Ruby was always told to look away. But she never wanted to. This plan made sure she could watch! So grown up. Super Ruby!